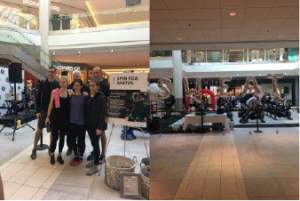 On Saturday January 20th our team took part in a spin class hosted by Lululemon & Rev3k Spin to support Anova, the Women’s Community House. Anova works to provide support, resources and shelter to women, children and oppressed individuals right here in our community. All proceeds of the ride went directly to Anova. Our pack of five cycled a combined distance of 114 km’s in 40 minutes!